Expectations for businesses to respect and in some cases help fulfill internationally recognized human rights have increased over the past decade. In turn, businesses also recognize how important appropriate management systems are in order to respond to these expectations and to protect core resources needed in their own business practices. Several initiatives, including the UN Global Compact, the UN Guiding Principles, and the UN “Protect, Respect, Remedy” Framework for Business and Human Rights, have given businesses key frameworks to meet these expectations. The UN Global Compact, a voluntary initiative launched in July 2000, is a “leadership platform for the development, implementation, and disclosure of responsible and sustainable corporate policies and practices.” It calls on companies to commit to aligning their business strategies and operations with ten universally accepted principles; the first two deal specifically with human rights. In June 2011, the UN Human Rights Council formally endorsed the UN Guiding Principles for the implementation of the UN “Protect, Respect, Remedy” Framework. Together, the UN Guiding Principles and the “Protect, Respect, Remedy” Framework are the authoritative reference points for business and human rights on how to address and prevent business-related human rights impacts. In the same year, the UN General Assembly and Human Rights Council agreed to resolutions affirming the human right to water and sanitation (HRWS) as a right equal to all other human rights. These developments, along with companies’ awareness of the risks associated with the growing water crisis, have led to the realization amongst companies of the increasing importance for businesses to align their practices with the human right to water and sanitation, particularly as it is key to meeting broader corporate water stewardship goals. They also recognize that this is an evolving and complex area that is often not well understood by businesses and that could therefore benefit from greater exploration. Realizing this need early on, the UN CEO Water Mandate established water and human rights as one of its core workstreams. Over the course of the Mandate’s working conferences, the Mandate Secretariat has brought together international experts to help contextualize and share the latest thinking around what respecting the human right to water means in practice for states and for businesses. However, concrete guidance is still needed. Going forwards, the Pacific Institute and the Mandate are pursuing work to provide practical insights on how companies, focusing on large water users, can best meet their responsibility to respect the HRWS taking into account their existing corporate water stewardship practices. 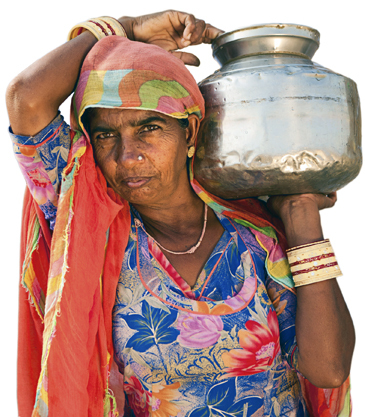 Read the CEO Water Mandate’s Bringing a Human Rights Lens to Corporate Water Stewardship.